CLEAR BAG POLICY IN EFFECT. SEE TAB BELOW FOR MORE INFO. Single Day Tickets are now on sale! 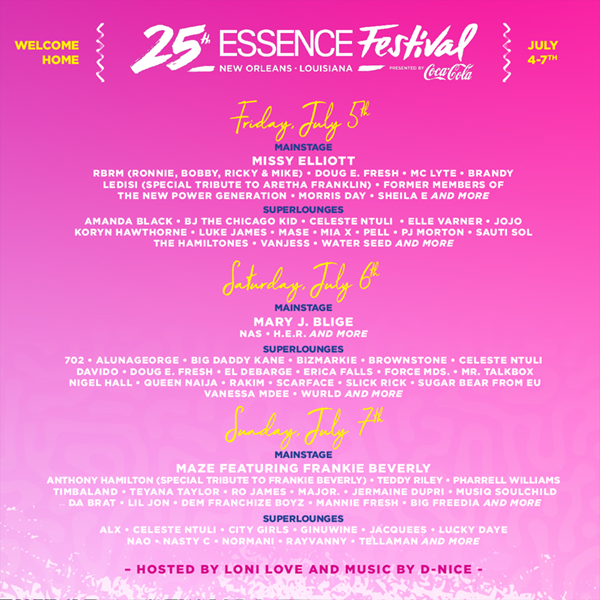 The 2019 ESSENCE Festival is gearing up to take over New Orleans once again with a host of unforgettable performances from your favorite artists and rising stars!